The Backstreet Boys lime light hasn't sputtered out yet. The pioneer of American boy bands is back with a new album entitled In A World Like This and to give us a taster the band has released a new song with an acoustic and laid-back feel we rarely hear from the group before. Here is the cover of In A World Like This album by Backstreet Boys. The carrier single, In a World Like This, has been released a month ago and it is followed up by One Phone Call, which is the 10th track in the said album. And just recently the 8th track in the album, titled Trust Me, has also surfaced online. You can watch or listen to the said songs below. 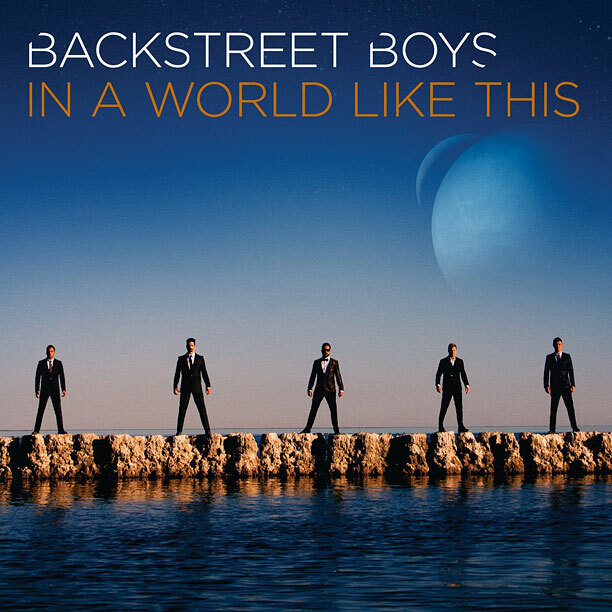 In A World Like This by Backstreet Boys will be released on July 30, 2013. This song is awful and judging by it's performance in the UK charts (it only reached 155 in the UK top 200) Nobody want's to hear another album of boring adult contemporary song's. The group has already done this with their 2005 album "Never Gone", which at the time was acceptable owing to the fact that they had returned after a while away and wanted to show that they had grown up. Genuinely normal in the boy band world when they return from hiatus. Let's not mention their 2007 album "Unbreakable" Which was an 'absolute snooze' and committed their own boy band 'Faux Pas' (working with a member of their rival boy band NSYNC to make the song "Treat Me Right"). Thankfully by 2009, their next album "This Is Us" and it's subsequent first single "Straight Through My Heart" Managed to garner them back some respectability with it's sound being a remnant of their earlier heyday's and not to mention bought back the famous BSB Dance moves. My summation of the single "In a world like this" is that it is a song which is a very bad attempt at mid tempo rock with a hint Electro pop in it's chorus. Another point to make about the song, is that The Music video is basically a colored version of another track that was released by them in 2007 called "Helpless When She Smile" which was filled with guitar riff's just like "In A World Like This". In my opinion the only good thing going for this track is that it features the return of the vocal's of Kevin Richardson who has returned after some 7 years away. This song is definitely awful for the mainstream, but for the die hard (not so young, if I might add) fans it would be another story. Their later works as you said may have gone downhill, but if you think about it they haven't been really focusing as a group (which when they did when they started resulted to some of their best songs) as each of them have separate careers now. For the fans, that effort alone will be much worthwhile than the actual outcome of the album. Thanks for voicing out your thoughts!